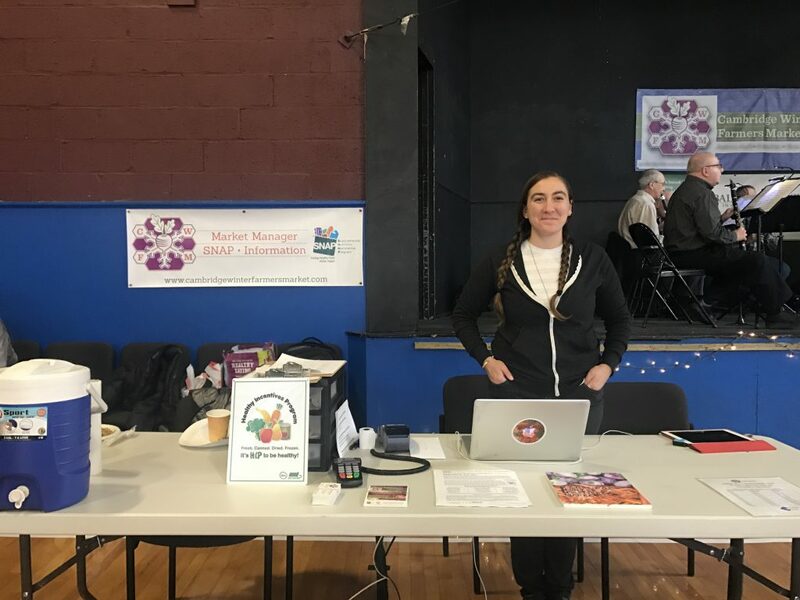 The Cambridge Winter Farmers Market is pleased to offer interpreter services for shoppers who speak Mandarin and Russian. This service is free and available for all shoppers. To access this service, please check in with Anna (pictured) at the Manager’s table. In addition to the market accepting SNAP, all SNAP dollars spent at the farmers market are matched up to a $15 weekly limit, allowing you to purchase $30 of food using only $15 of your SNAP dollars – this matching money is from the Cambridge-based SNAP Match program. Additional benefits are also available through the Massachusetts-funded Healthy Incentives Program (HIP), which provides an additional $40-$80 per month (depending on family size) to purchase fruits and vegetables. All SNAP shoppers are already enrolled in HIP and eligible to receive these benefits. Stop by the Manager’s table to learn more about both the SNAP Match program and HIP to receive maximum available benefits. For additional information on the Cambridge Winter Farmers Market, please click here.